We are at the dawn of an age of connected things, Internet of Things (IOT), some predict that there will be 25 billion new connected devices over the new few years. In this talk, we will peel away the hype and talk about the practicalities of managing IOT at scale. We will explore the protocols, the message queues and the eternal problem of standards. This talk will be a practical one where we will a demonstrate the ingestion and processing of IOT data using azondi, our opensource IOT message processing engine, built in clojure using Netty and implementing the LMAX reactor model. 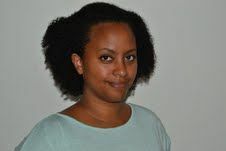 Yodit is a developer and founder of opensensors.IO, with a special interest in machine learning. She spends her time building systems for processing and analysing sensor data, as well as hacking clojure.